Want to know what kind of tech you’ll have in your home next year? The Consumer Electronics Show, or CES in gearhead lingo, is the premier place to get a snapshot of what’s coming down the pike in device manufacturing, computer developing, and—as smart homes become increasingly popular—it’s the best way to get a snapshot of our future homes, as well. You don’t have to be a tech guru to appreciate these trends, either. With device-connected refrigerators, cool WiFi-enabled ovens, and even a tool that folds your laundry for you, CES’s home side is definitely for the everyman. In particular, we were excited to see a showing for solar panels among CES’s new offerings. 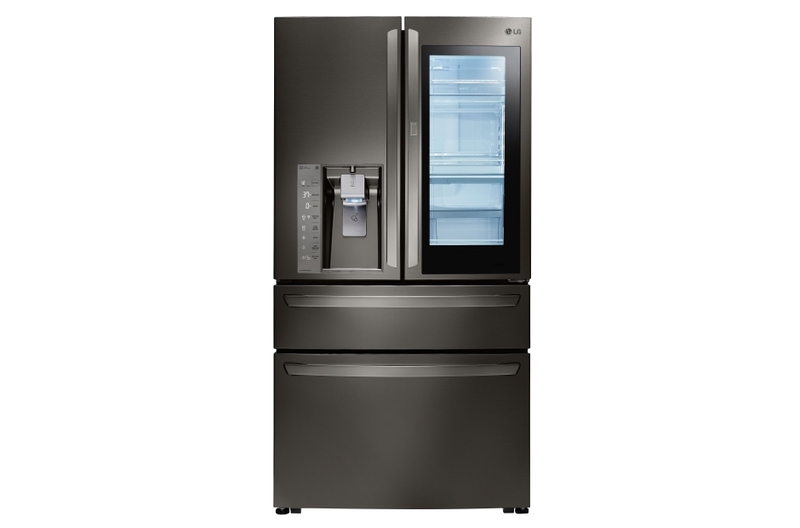 Read on to learn about all the newest innovations available—and then be ready when you purchase your next fridge. “Who needs a smarter refrigerator,” you ask? You will, after reading about these nifty new gadgets and features. In fact, the smart home branch of the appliance industry has been focusing a lot of attention onto WiFi connected fridges that can give you more insight into what you eat and buy. For instance, LG announced this year that they’ll be designing a touch screen smart fridge that integrates with Alexa, Amazon’s digital assistant. The touch screen on the front is actually pretty cool—it turns translucent to show you what’s inside, without ever opening the door. You can also use it to make a grocery store list, access a database of recipes, get weather reports, and even jam out to some tunes while you cook—all with voice commands. Whirlpool’s fridges are also getting an Alexa integration, so if you’re looking for home hub recommendations, the Dot or the Echo may be the right way to go. Of course, buying a whole new refrigerator just for some cool new bells and whistles is a lot to ask for. For most of us, it would be a lot more useful to retrofit our current refrigerators with some new tech, and that’s exactly what the NeOse smell recorder may one day help you do. This one goes out to anyone who’s ever sniffed some questionable milk, only to get a big whiff of rotten dairy in return. Here’s how it works: you point the recorder at the food in question, and it runs it against a database of “known smells,” returning an instant readout via iPhone. NeOse’s technology is currently slated for commercial use only, but who knows—maybe one day your new fridge can be equipped with a smell-o-gram, too. One of the biggest challenges to smart home adoption has been compatibility—appliances and devices aren’t quite able to “talk” to one another yet. At CES, GE was showing off their first nascent attempts to address the issue. Their Nest-integrated ovens can now communicate via WiFi, automatically turning off the heat if the smoke alarm chimes. That’s pretty cool, but Alexa integration definitely stole the show when it came to number of integrations. CNET, who keeps track of such things, tallied Amazon’s number of connected appliances and devices on display at this year’s CES at 33, compared to 18 for Apple HomeKit and a mere 8 for Google Home (you can read the full breakdown here). Of course, the future of home automation certainly doesn’t live or die by one conference—but more communication is obviously the way things are headed (thankfully for frustrated homeowners! ), and right now, Alexa definitely has the lead on its competitors. CES wasn’t just about cool electronics this year, though. We were especially excited to see that solar panel technology was being represented—and the product at the helm is pretty neat, too. They’re Sunflare’s new sticky solar panels, which are made with flexible conductors instead of glass so that they can be shaped around almost any surface. On the back of the panels, the company has installed double-sided tape so that they can be mounted anywhere: the side of a building, a window, or along a deck floor. Sunflare thinks they can get their product costs down so that they’re competitive with conventional solar panels—about $1.50 per watt, after installation. Flexible solar technology is by no means a new idea. In our time covering solar technology, we’ve seen several different prototypes come out, all of them aimed at making panels less clunky and easier to install. But this is the first time we’ve seen concrete plans to adapt that technology into a consumer product. 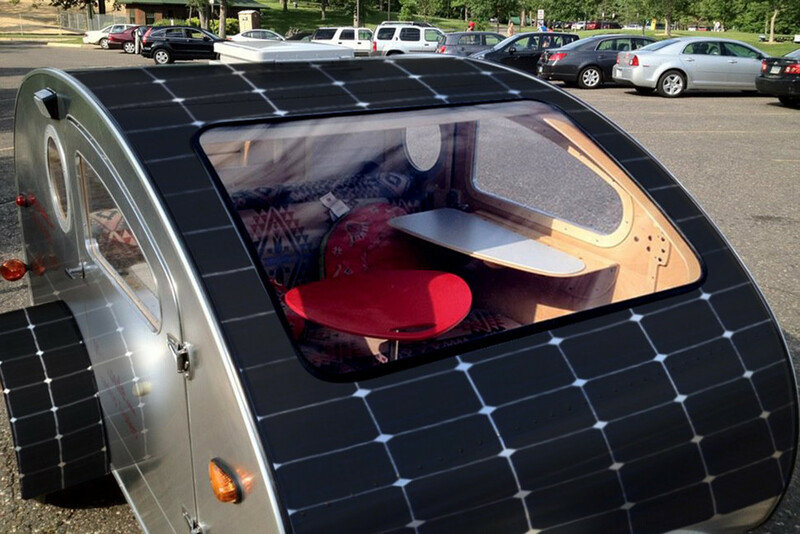 If this is the future of solar, we’re on board! 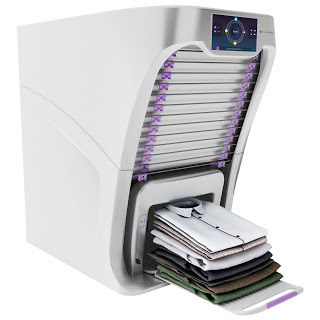 For our money, one of the most intriguing products swirling around CES was the FoldiMate, an admittedly large piece of machinery that will actually fold and press your laundry for you. They haven’t come out for purchase yet, but we’ll be ready to place our own order when they do. No more fitted sheets to tangle with? Sign us up!